A jubilant combination of fiery jalapeño and habanero chili peppers, and ripe red bell peppers with just enough sweetness to take the edge off the heat. Spoon over cream cheese and serve with crackers. 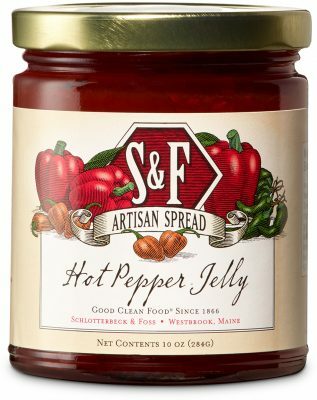 Use as a sandwich spread for grilled cheese or to make a spicy Monte Cristo. Thin with a little melted butter and brush onto salmon, pork chops, or chicken breasts before roasting. Cane Sugar, Peppers (Red Bell, Jalapeno, Habanero), Water, Apple Cider Vinegar, Pectin.